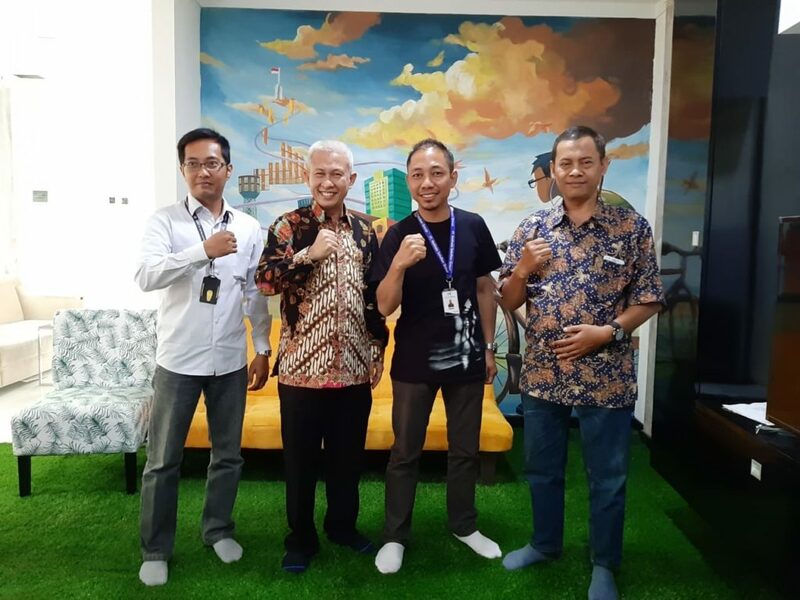 On Thursday the fourth of April 2019 In Yogyakarta, The delegation from SMK Telkom Purwokerto visited PT Era Digital System.The delegation from SMK Telkom Purwokerto was welcomed and friendly by the company delegation. The talk of friendly visit and the issue of globalization and also industry 4.0 became a hot conversation at that starting of the meeting. That morning agenda attended by principal of SMK Telkom Purwokerto, Mr.Jumala and Vice Principal Public Relation, Mr.Slamet Mangsudi and also Mr.Hermansyah, Mr.Agus and Mr.Dany from PT.Era Digital System. The topic of this meeting was about the planned MOU that would be assigned the both institutions. The content of the MOU would be about recruitment,student internship, and Teaching Factory.